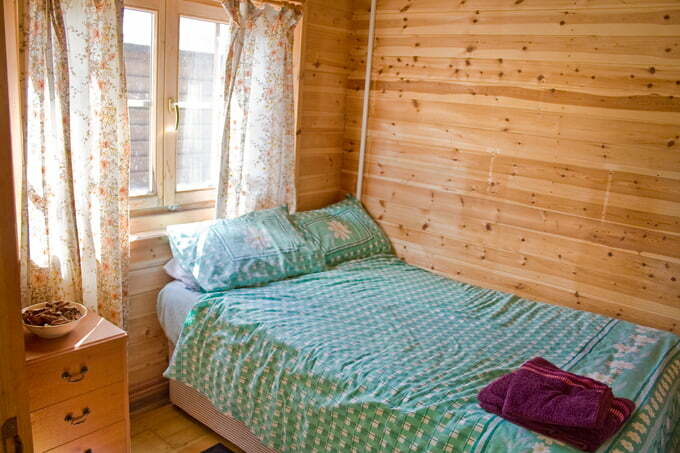 The Log Cabin came from Estonia about four years ago, constructed entirely by us and was set up originally as a Day Centre for ‘Special Needs’ people. 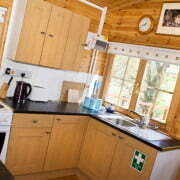 ( Not built as a holiday lodge) We carried out the conversion last September – lasting until Christmas. 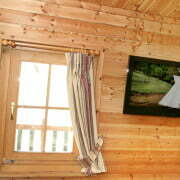 Then started to have enquiries and ‘taster’ weekends. 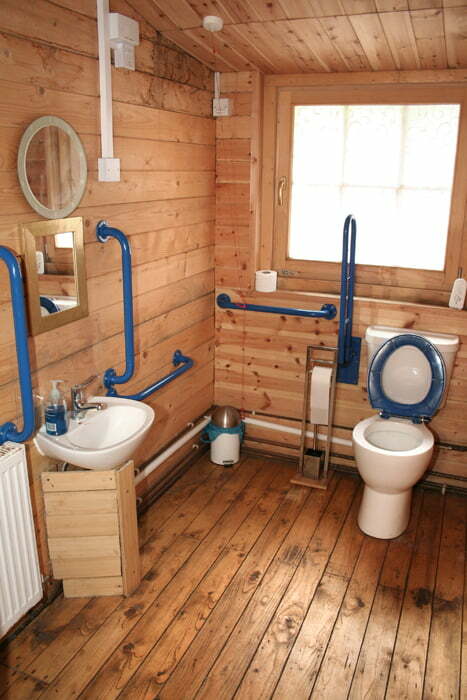 Feedback was monitored, and little bits of ‘tweeking’ were carried out. 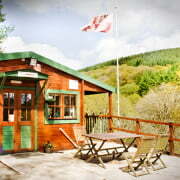 Following a visit from the Caerphilly Tourism officer, we were told it meets 2 star standards. 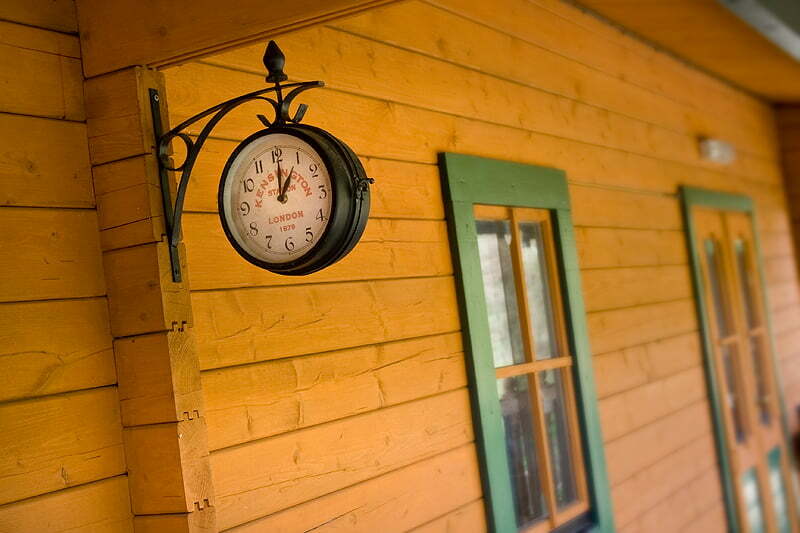 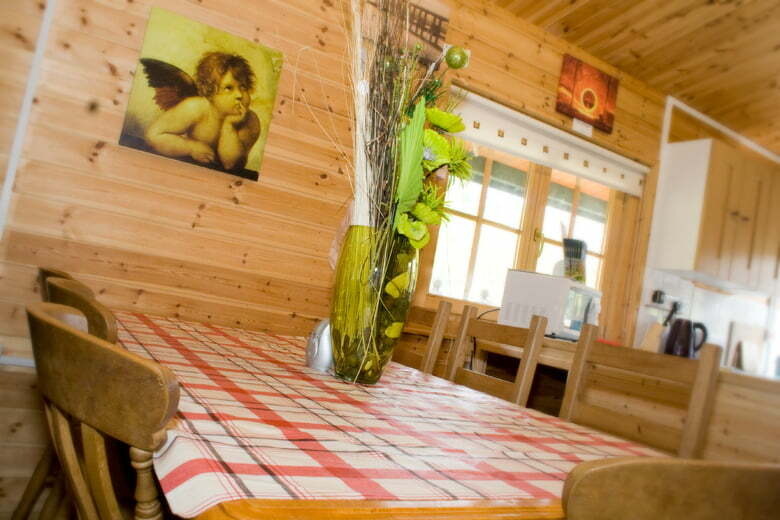 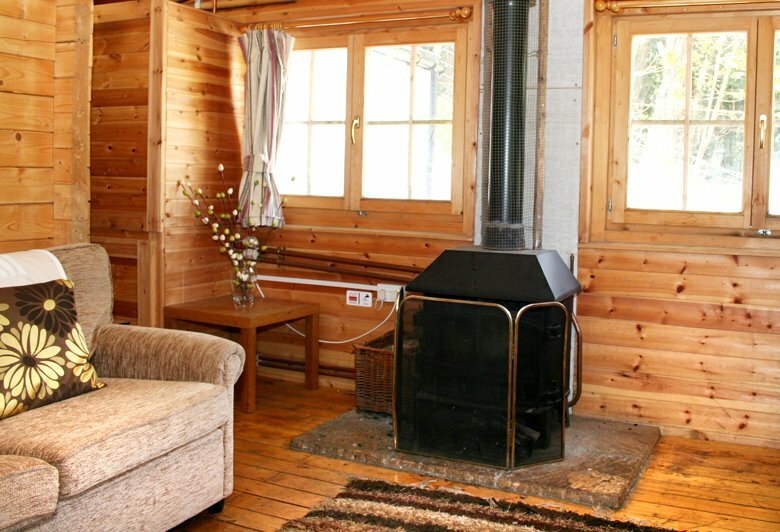 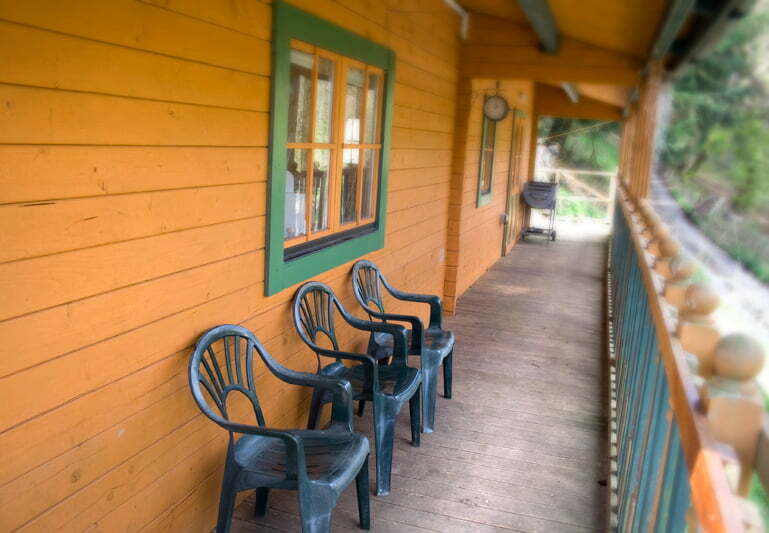 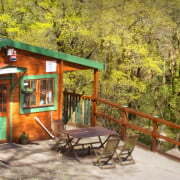 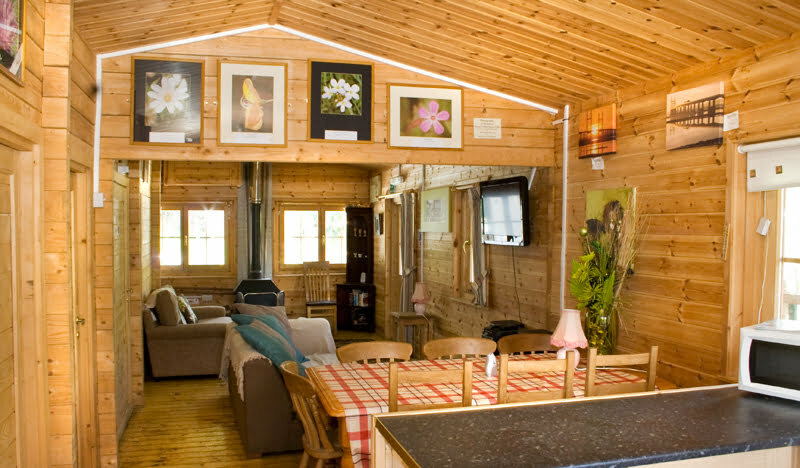 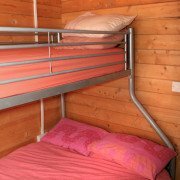 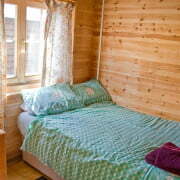 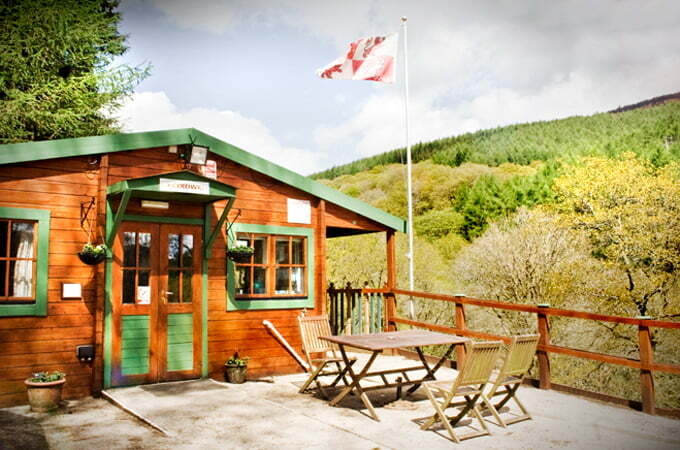 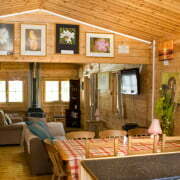 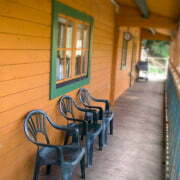 The cabin sleeps 5 persons by way of a cosy double room (small) and a second bedroom with double bed and bunk over. 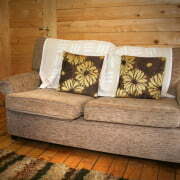 There is a sofa bed for two extra persons – should it be required. 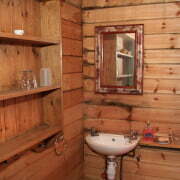 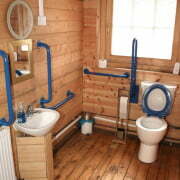 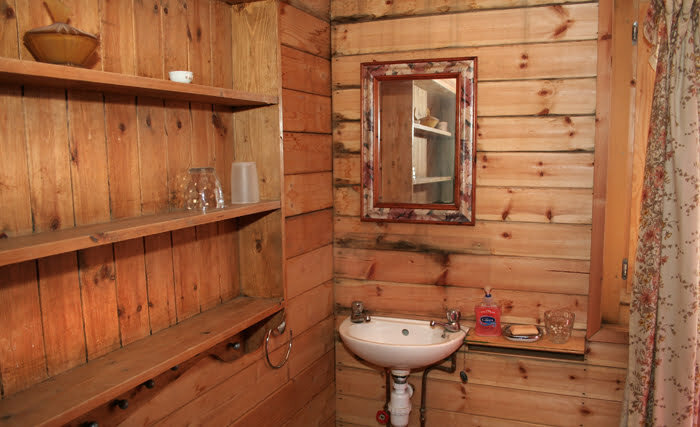 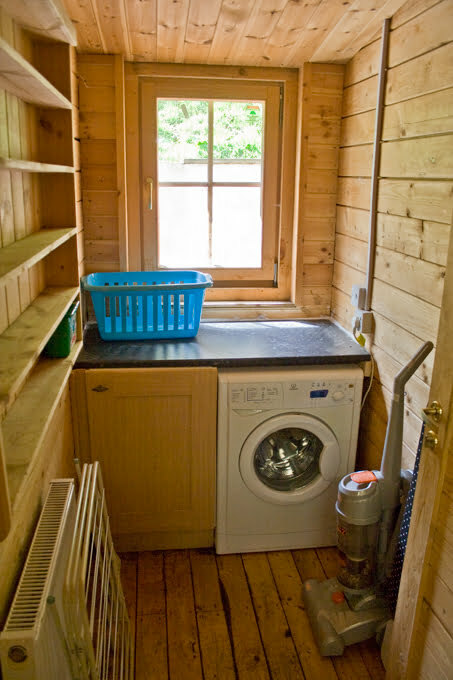 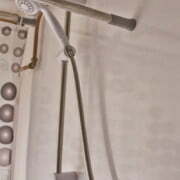 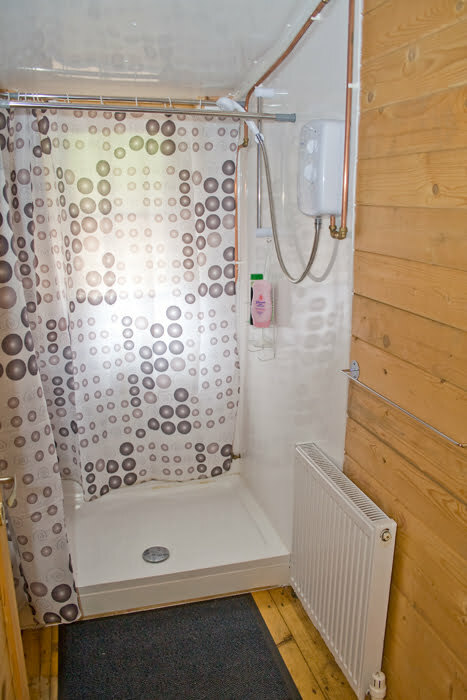 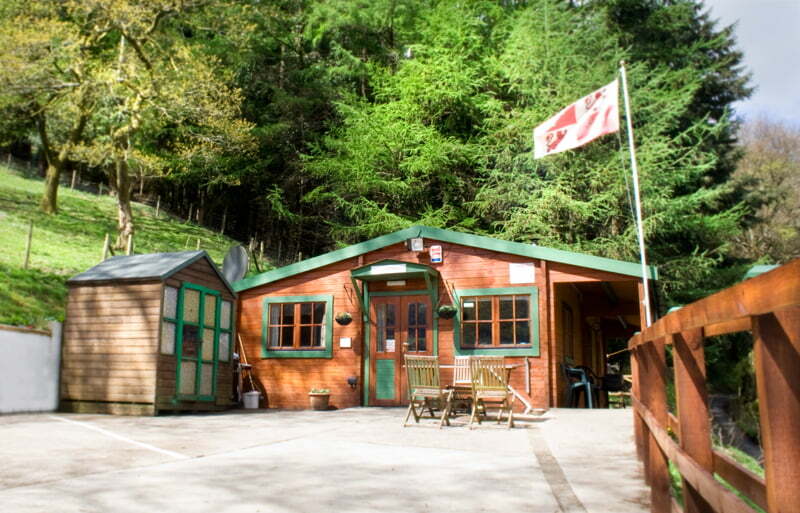 There is also a shower room, laundry room and toilet – disabled friendly. 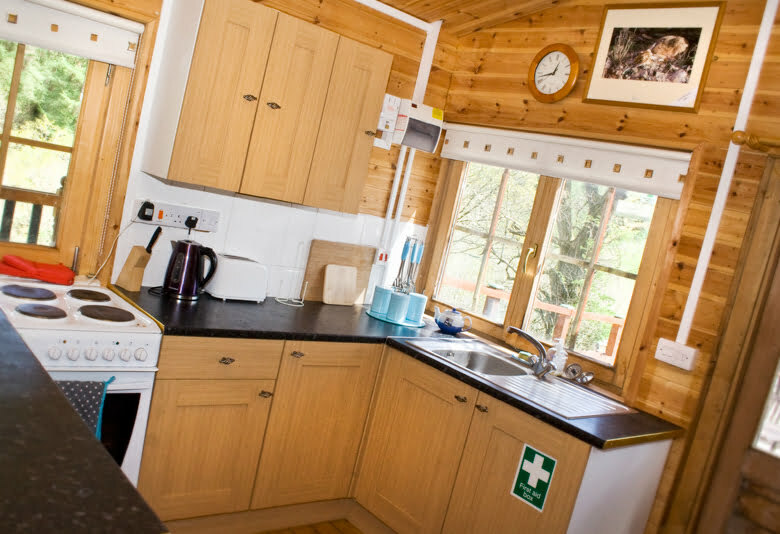 The fully fitted kitchen contains electric cooker, chip fryer , toaster, kettle, microwave, fridge/freezer, and sandwich maker, plus all usual utensils, crockery, etc. 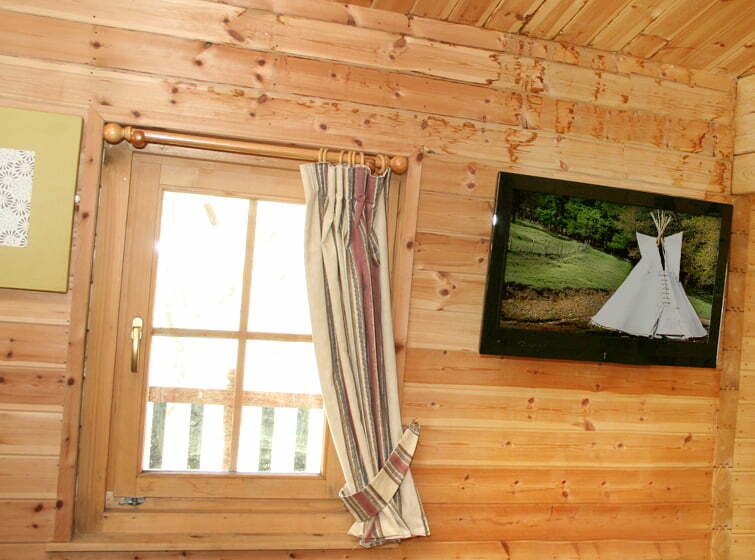 The living area is open plan, and contains a T.V and music center. 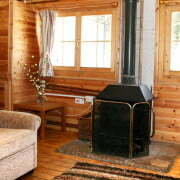 There is also a Multi fuel stove. 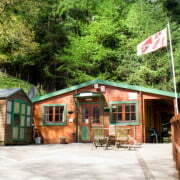 An initial bag of logs is supplied. 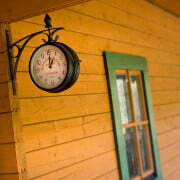 Electricity is by coin meter. 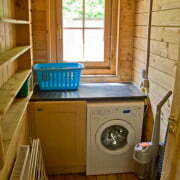 The hot tub has recently arrived. 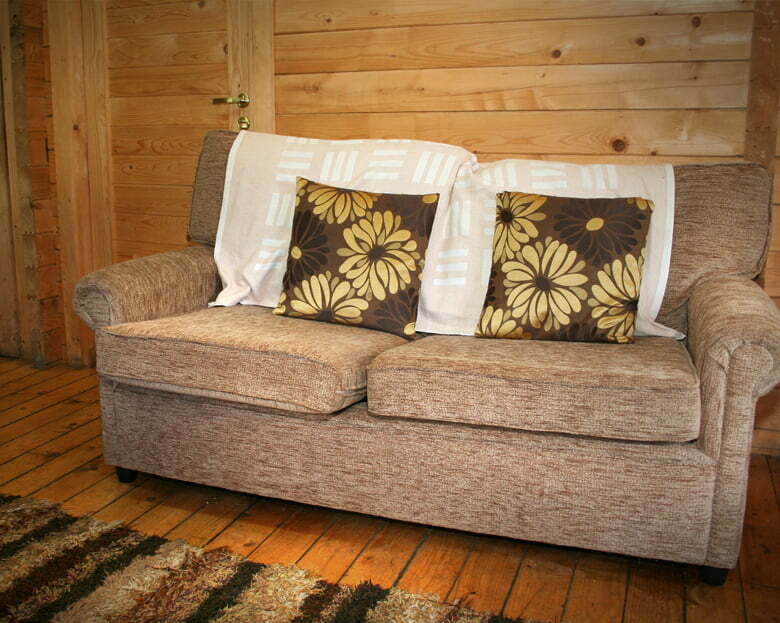 Studio flat: 1 Double – ensuite, with sofa bed in lounge. 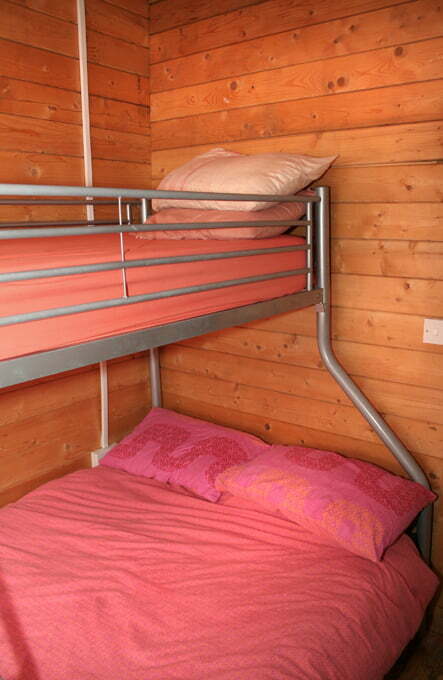 Sleeps 2 / 4.